With the gentle pastel tones complimented by regal purple stocks and the fresh addition of summer foliage, this display is classic and effective. The bright pom pom heads of alliums and slender sprays of veronica add texture and detail, while the stocks provide a wonderfully distinctive, spicy scent. 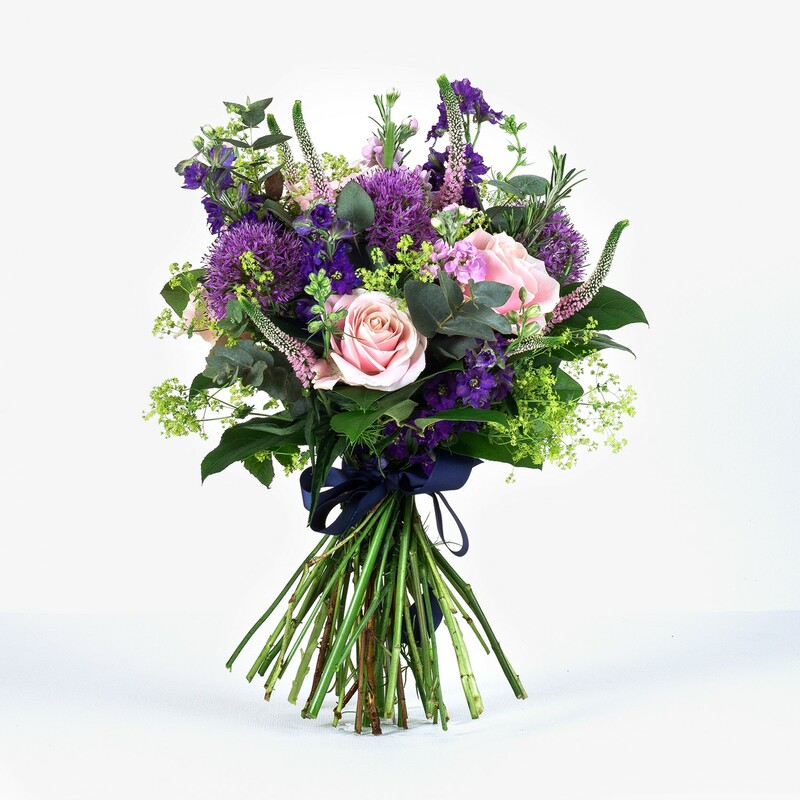 Containing pink roses, alliums, stocks, veronica, and soft summer foliage, this hand-tied bouquet is sure to delight anyone with a love of the English countryside at its best.